I paint this in a 5”x7” Canvas Panel. 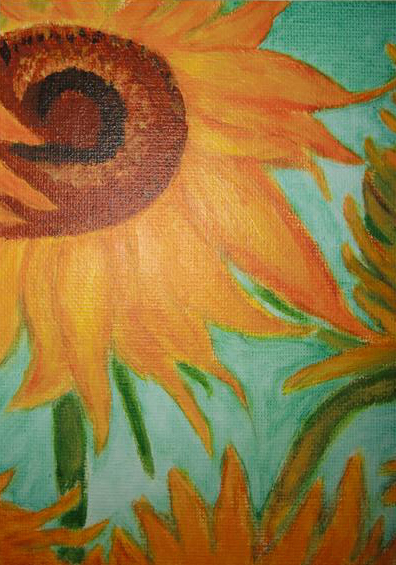 It was so much better experience painting on Canvas Panels than watercolor paper. Smoother, higher quality and no buckles! 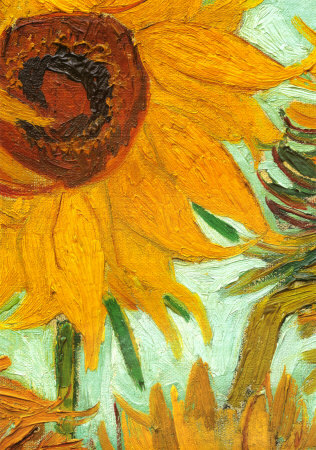 I drew the sunflower based on Van Gogh’s oil painting first, and then added vivid orange colors in different values. I painted the background in blueish green. I absolutely love my sunflowers and I feel so nappy and fulfilling. It’s satisfactory and rewording that you can paint what you love!